The resources on this page are designed to help NCSLMA members fight for and maintain library services and positions that impact North Carolina's young people. Keeping in mind that the best form of advocacy is to provide quality, far reaching services that impact student learning, the resources on this page are divided into two sections. Advocacy Resources From NCSLMA and Its Members. 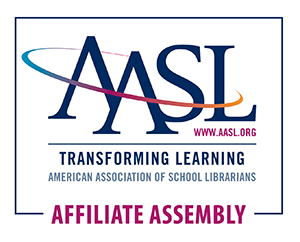 Advocacy Resources From AASL, ALA and other National Programs. Unfortunately, there is no silver bullet to combat a tough economy and the drastic cuts to education that have followed. However, by providing quality, impactful services and embedding themselves into the instructional programs at their schools, North Carolina's school librarians can (and do!) draw a clear and distinct line between themselves and student learning. The purpose of these resources is to help North Carolina school librarians draw that line. You can always advocate for libraries by calling or emailing Congress. Find out how! Position Statement on the School Librarian's Role in Reading. Does Your School Have a Teacher Librarian? School Libraries Matter: The Changing Role of the School Librarian.